Fitness Results Depend on Good Nutrition. Research in nutrition and fitness shows that up to 80% of a person’s fitness training results are directly related to their nutrition or lack thereof. The fact is that we eat too much overall, we eat not enough of the nutrient-dense foods, and we move too little. That combination is deadly! The Academy of Nutrition and Dietetics aptly chose the theme “Bite Into a Healthy Lifestyle” emphasizing not just the importance of a healthy diet or physical activity, but the combination of both.The Academy is placing the focus on adopting eating and exercise habits to achieve and maintain a healthy weight. Making informed food choices, consuming fewer calories, and daily physical activity are all at the foundation of a healthy lifestyle. There is no single food or habit that is the key to good health. A healthy weight and lifestyle through good nutrition and physical activity will improve the way you feel and reduce the risk for chronic health conditions. Exercise and eating well, in fact, will only improve results when using Isagenix. While there are many different ideas of what the perfect diet is, most would agree that it should be balanced, nutrient dense, and moderate in calories. What makes a meal balanced is its incorporation of the essential components; lean proteins, healthy fats, fiber, complex carbohydrates, vitamins, and minerals. Spending the time creating nutritious meals can be fun and tasty. Making meal planning and preparation a family affair is a great way to get kids started making their own healthy food choices and excited about nutrition. Home-cooked meals also tend to be more nutrient-dense than those prepared at a restaurant. But unfortunately cooking is not always achievable. With so much going on in day-to-day life, rushing from one place to the next can make finding the time to put together a nutritious meal impossible. There is also risk of underestimation of calories and nutrition, which could lead to overeating and undernourishment. That is why having meal replacement options can be important. An IsaLean Shake is a fool-proof way of getting all the nutrition you need when on the go. A healthy lifestyle is more than just a nutritious diet; it’s also one that keeps you active. Regular physical activity can reduce the risk for chronic disease and improve overall health. The Institute of Medicine recommends that adults invest at least 30 minutes, five days a week, doing a physical activity they enjoy and taking part in a muscle strengthening activity twice a week. 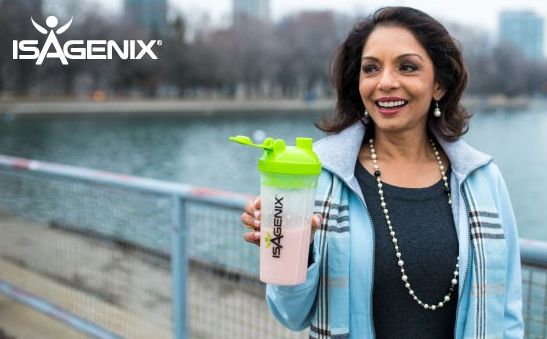 Fueling up for training is easier with the help of Isagenix. With naturally sourced caffeine, e+ energy shot is a great pre-workout boost. Instead of drinking a sports drink laden with excess sugar and calories, Replenish is a great alternative to stay hydrated and replace lost nutrients. IsaLean Bars can be conveniently thrown in your gym bag for a protein-rich meal replacement for quality nutrition before or after a workout. 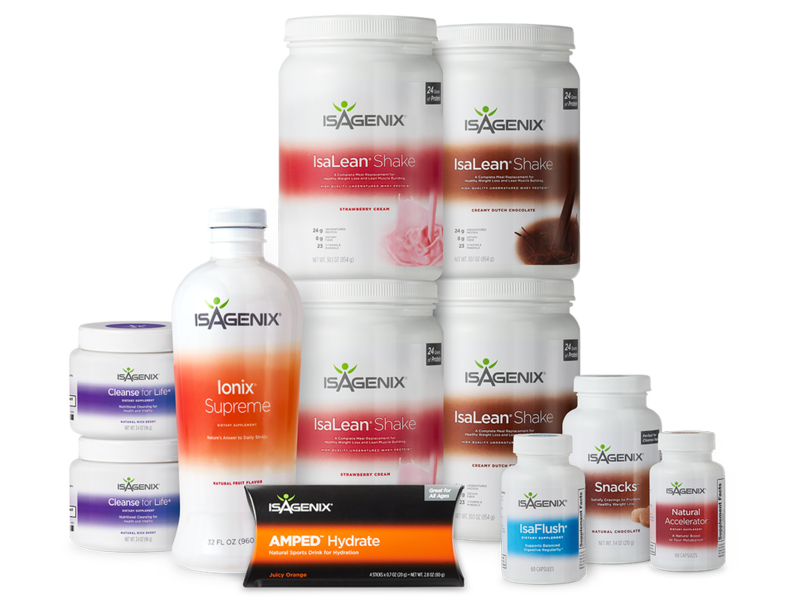 Enhance your weight loss and health goals, not by jumping on a fad diet bandwagon only to fall off a few months down the road, but commit to a healthy lifestyle and use Isagenix products to stay on track. Nutrition should not just be your focus during your training, but a priority all year.